GR80WS is suitable for mounting and also transporting wheels. Maintenance-free lifting spindle. Drive is by a powerful electric motor with integrated safety brakes. The double battery allows up to 100 lifting movements. The universal-charger (included) allows quick recharging. Pick-up fork with five support rollers. Four rollers and two parking brakes ensure a safe stand. 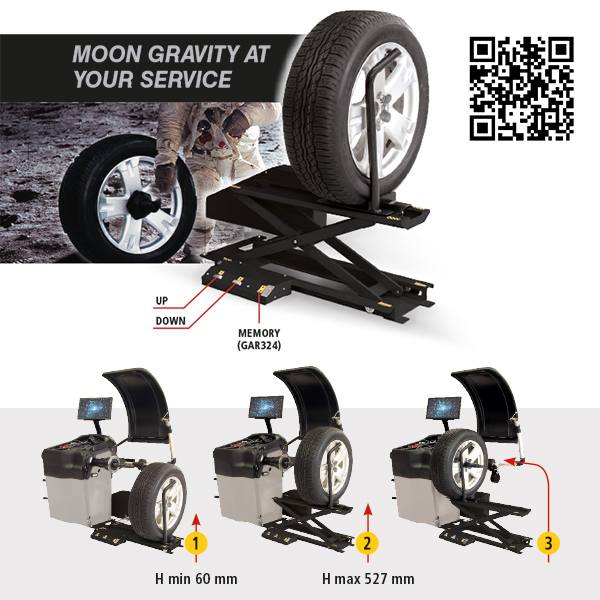 Very easy to use, GR83 enables wheels of up to 80 kg weight to be raised from the floor and placed on wheel balancer or tyre changer with no handling by operator. 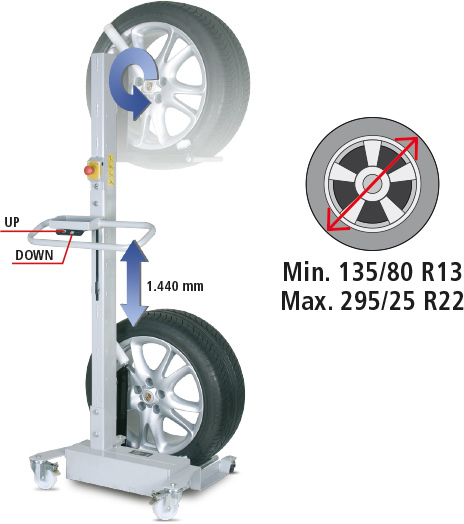 Wheel lift with automatic compensation of wheel weight. Test tank for inner tubes or tubeless tyres up tao 680 mm diameter and 260 mm width. 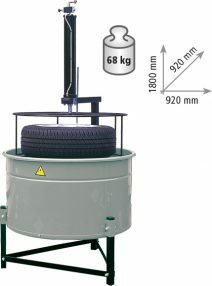 Air operated: equipped with control to lift and lower the tyre-support basket.